The abandoned 10-storey blocks, known in Hokkien as "chap lau chu", on the left stand in sharp contrast to the new flats across the road. 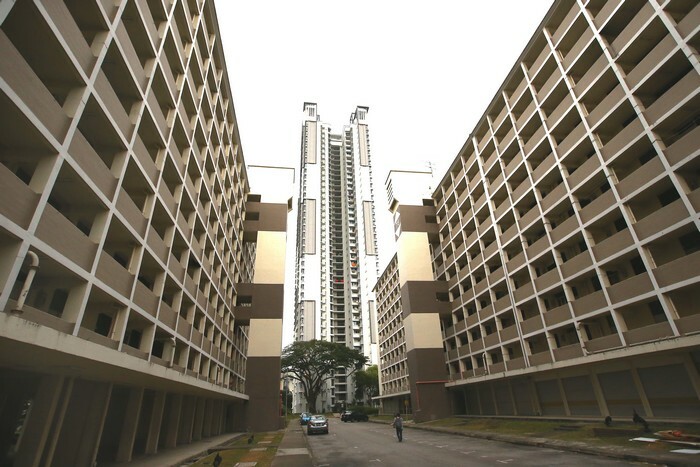 Singapore's first 10-storey flats, colloquially known as "chap lau chu" in Hokkien, are seven blocks of brown and beige-coloured flats in Commonwealth Drive. 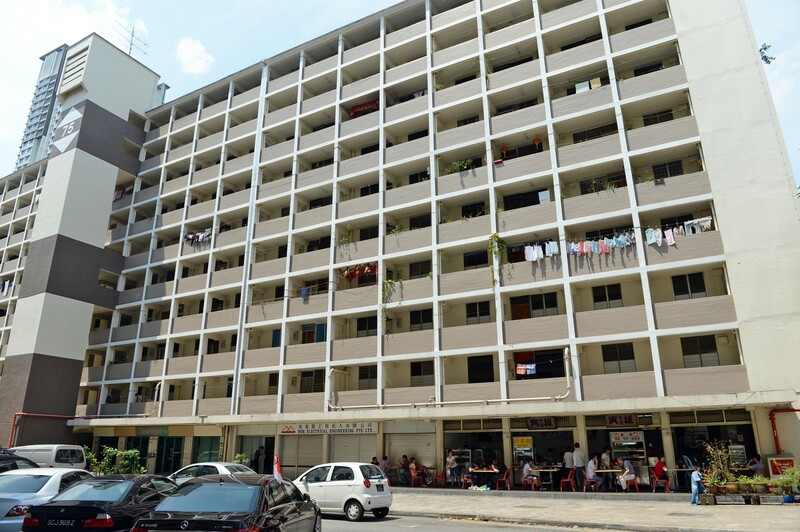 Built in the early 1960s, this pioneering "mini estate" introduced Singaporeans to the concept of a self-contained "public housing precinct" with several tall housing blocks next to a food centre. Decades later, the once-bustling neighbourhood lies vacant. After the area was earmarked for redevelopment in 2008, residents of blocks 74 to 80 and businesses cleared out by early last year. The abandoned estate has sat in limbo since, awaiting the wrecking ball which is expected to strike later this year. 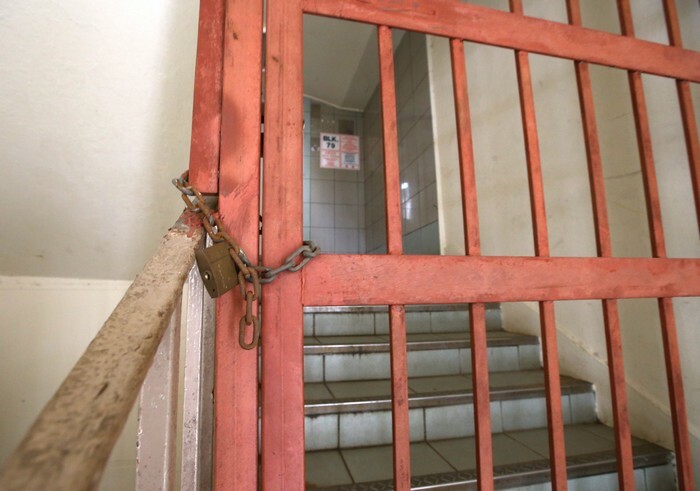 Entrances to the stairways of flats are gated and padlocked to keep away loiterers. 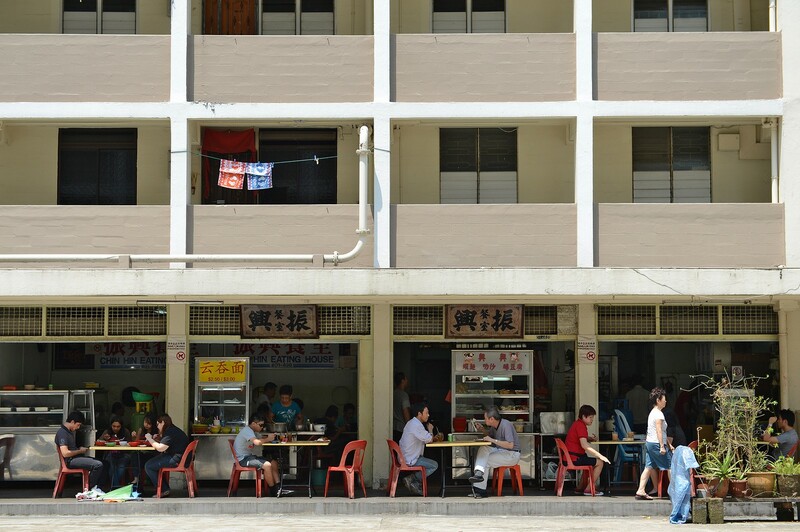 An eerie silence hangs in the aisles of shuttered provision stores and the odd childcare centre or barber shop below the blocks. In the courtyard lies a worn-out playground and pavilion that were once a distraction to children and their elderly caregivers on many an afternoon. 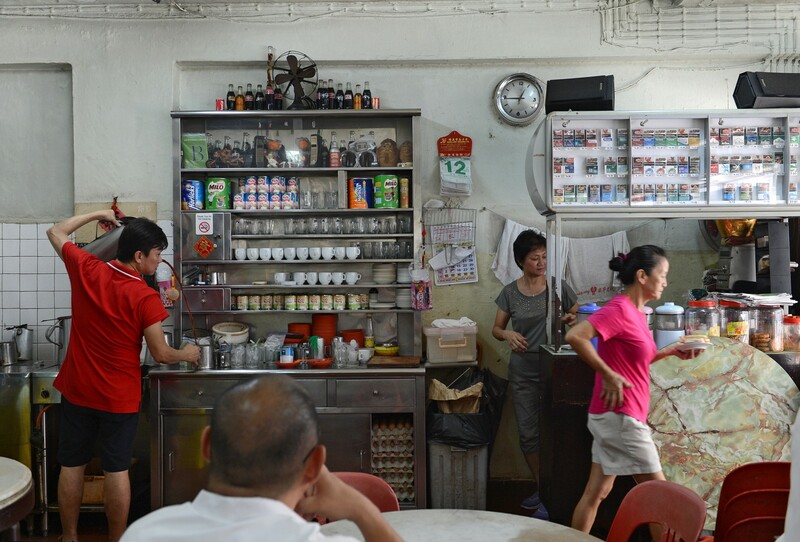 "It has an eerie vibe, especially when night falls and you see the leaves scattered all over the desolate streets," said Mr Jason Seow, 45, a former Tanglin Halt resident who returned to photograph the place before it is torn down. 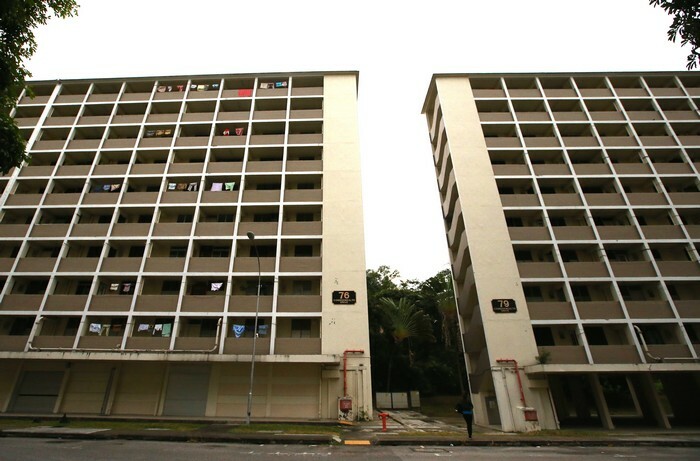 As the nation relentlessly renews itself, more housing estates have been left deserted. These are curious places, caught in between yesterday and tomorrow, with everything intact but its inhabitants gone. 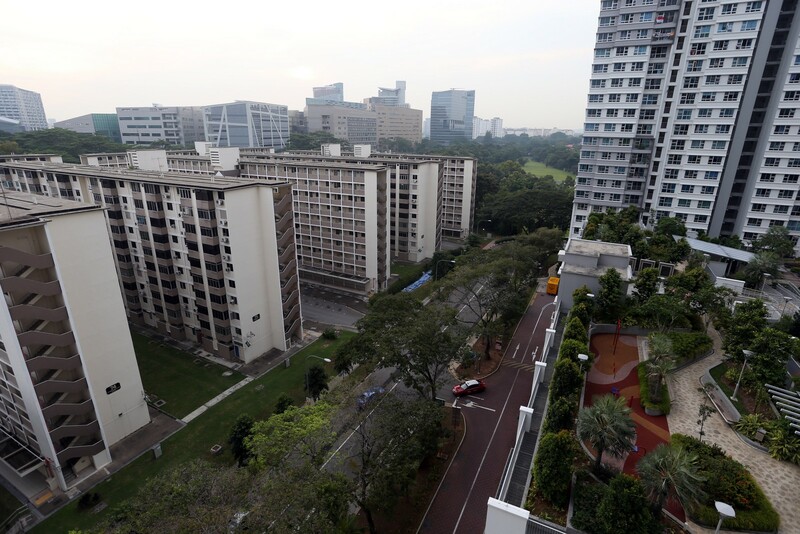 Over the last decade, 19 projects have been completed under the Housing Board's Selective En bloc Redevelopment Scheme. This means that residents in all these 19 areas have vacated their flats. However, the old blocks of flats in seven of these sites are either still in various stages of demolition or set aside for interim use or conservation today. 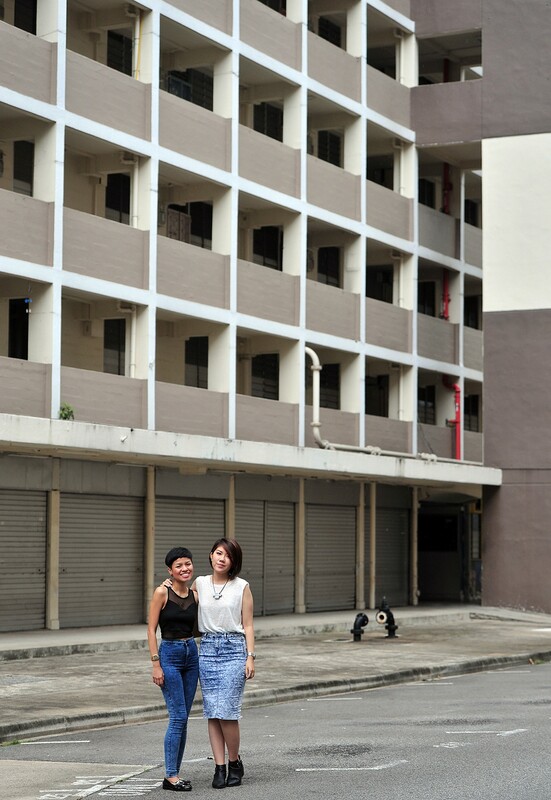 The ghost town in Commonwealth Drive has become a spot for some to linger. On a warm weekday evening, two Chinese construction workers cut through the blocks to get groceries from the supermarket across the road. On the way back, they went to sit on the concrete floor at the fringe of Block 76, shelling peanuts and drinking rice wine. They later used a small sandy track that winds through the dense vegetation to get back to their nearby worksite. Security supervisor Tong, who declined to give his full name, found himself early for his night shift that same evening and sat down at a stone table for a rest. "This is a special place because there's no one here and the quiet clears my mind," said the 65-year-old. 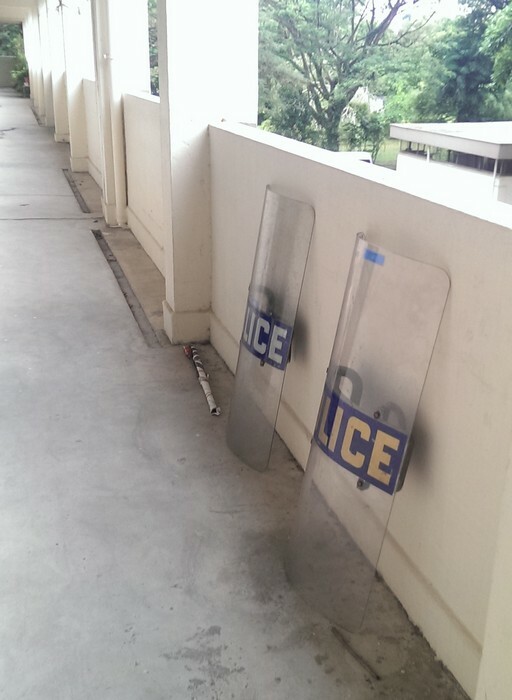 After 20 minutes, he left via another shortcut that office workers use to pass through the empty estate to get to Biopolis and Commonwealth MRT station. Hollowed-out neighbourhoods like these can also become hot spots for crime. In April, a researcher was slashed in the dim and derelict shortcut at night. Her employer, the Agency for Science, Technology and Research (A*Star), has advised staff against using the public footpath. Surveillance cameras have since been installed there by JTC Corporation. The Housing Board said it conducts inspections every day to "deter unauthorised entry into the vacated site". 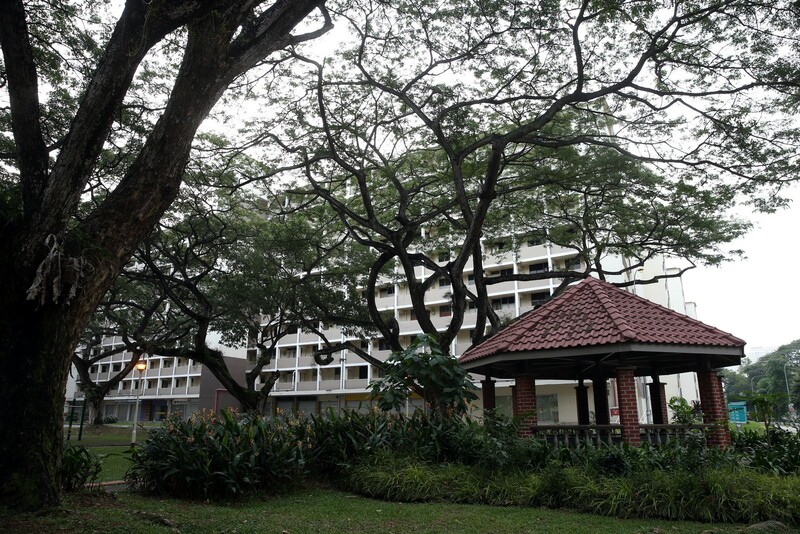 The seven blocks are part of the authorities' biggest housing redevelopment project to date, with 3,480 flats in 31 blocks in Tanglin Halt Road and Commonwealth Drive slated for demolition. 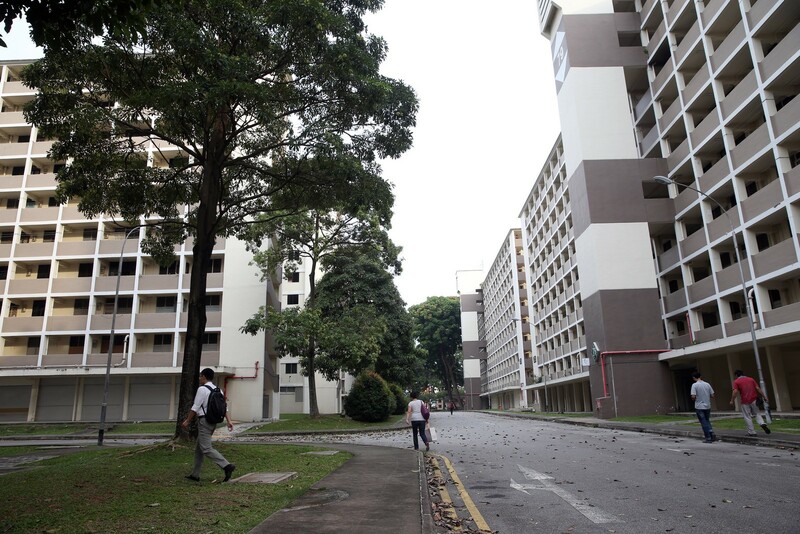 Affected residents have the option of moving to new flats in the nearby Dawson estate. Residents said the abandoned estate's destruction seems inevitable, given that its once-distinctive "10-storey" look is now overshadowed, literally, by modern skyscrapers with futuristic names such as Galaxis, Sandcrawler and Fusionopolis. Yet one stubborn presence continues to haunt the forlorn corridors - karung guni man Chua Thiam Seng, 62. The long passageways below the flats are strewn with cardboard boxes and cans that he collects from occupied flats and coffee shops across the road. "This is my office," he said with a toothless grin. 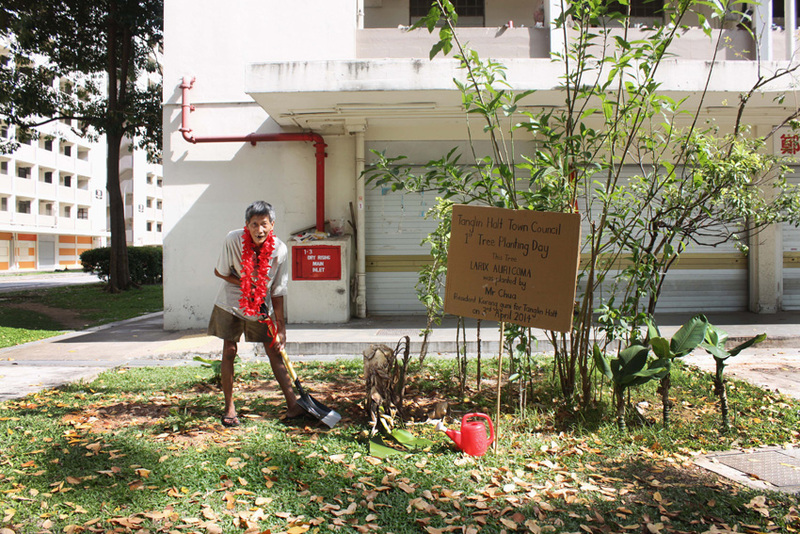 Mr Chua has been a rag-and-bone man in the neighbourhood for the past 20 years. He claims to have taken up HDB's offer of a new flat nearby after the relocation exercise, but he still sleeps in a little corner on cardboard beneath his former block on most nights. He added that it was for convenience, but reporters have spotted him cleaning up at a nearby market many mornings. The bachelor reminisced about the old days when the close-knit community would gather in coffee shops or outside the lottery shop to exchange gossip. He lamented: "They don't construct flats like these any more and though my neighbours have moved nearby, they are not as close as before." 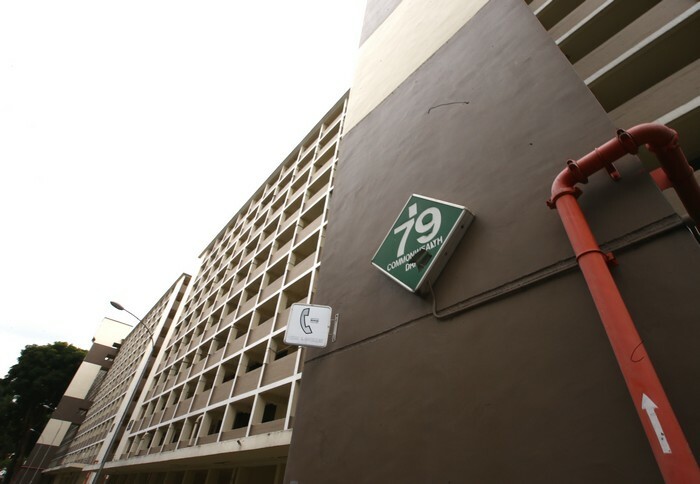 Singapore's first 10-storey flats are colloquially known as "chap lau chu" in Hokkien. 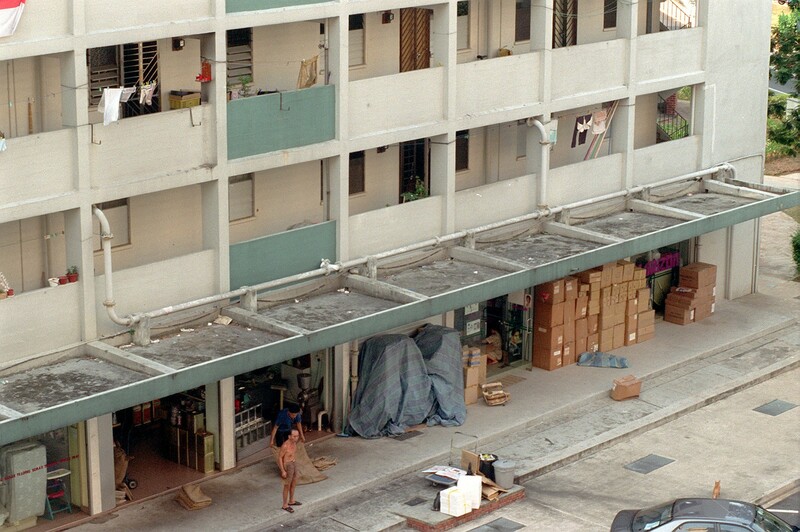 They are seven blocks of brown and beige-coloured flats in Commonwealth Drive. The area was earmarked for redevelopment in 2008, and residents of blocks 74 to 80 and businesses cleared out by early last year. 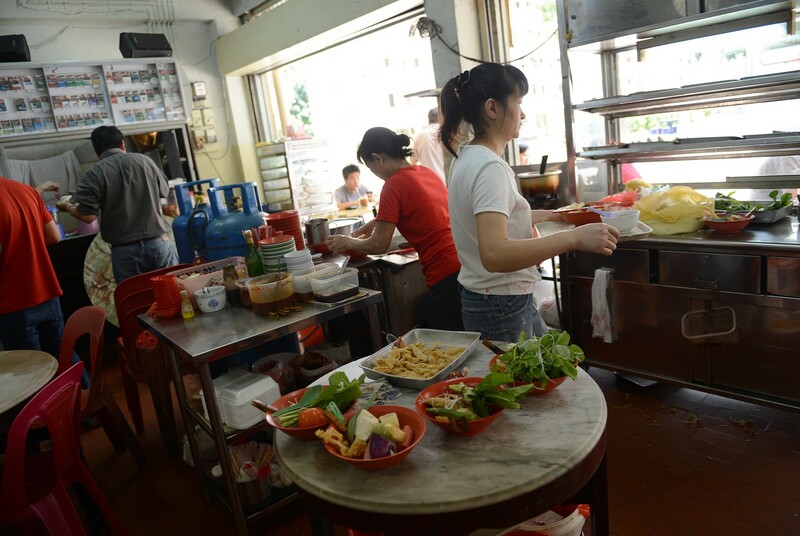 Chin Hin coffee shop at Block 75 Commonwealth Drive has closed. 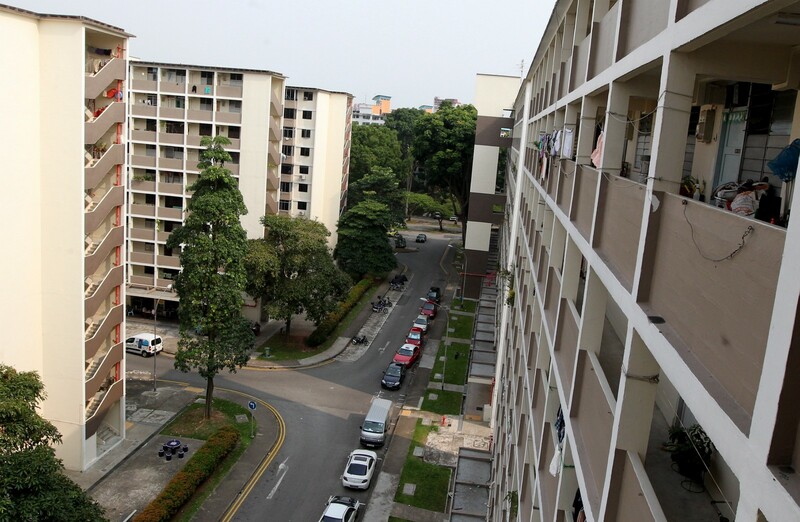 Over the last decade, 19 projects have been completed under the Housing Board's Selective En bloc Redevelopment Scheme. This means that residents in all these 19 areas have vacated their flats. The old blocks of flats in seven of these sites are either still in various stages of demolition or set aside for interim use or conservation today. 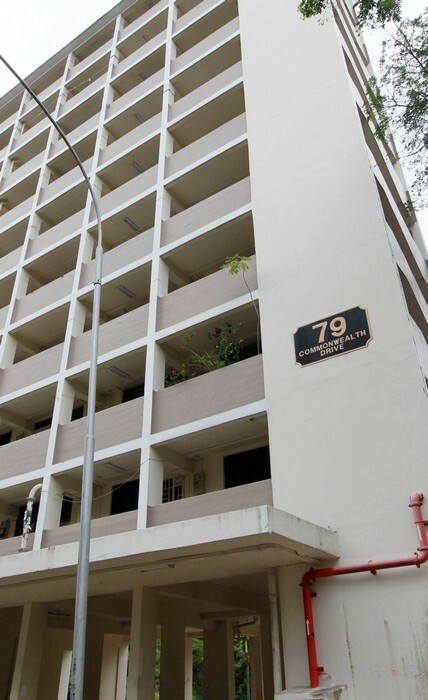 The 669 families living in Blocks 74 to 80 at Commonwealth Drive were notified in August 2008 that they had to eventually move to new homes nearby. 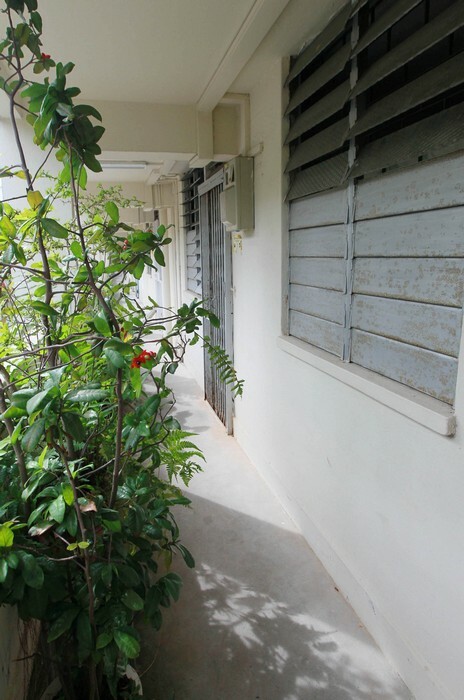 The seven blocks had been identified for redevelopment under the Selective En bloc Redevelopment Scheme (Sers). 5 years after the initial notice, all but one resident had moved out. 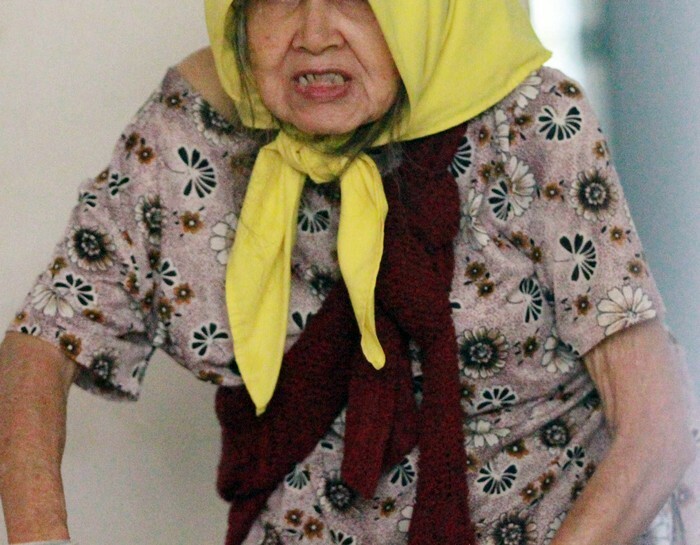 Madam Foong Chea Tai, 67, who owns a three-room flat on the 3rd storey at Block 79. She said: "I'm not being weird, I just want to stay here." She told Shin Min Daily News: "I don't want to move out. Now it's hard to buy a new flat. The lease is not up yet, I can still continue living here." Most of the former residents in Madam Foong's estate are now living across the road in Blocks 50 to 53 after moving out about 16 months ago. The lifts in her block stopped operating. However, water and electricity was still supplied to her home. The staircases in the other six blocks were gated up and locked to prevent access into the buildings. 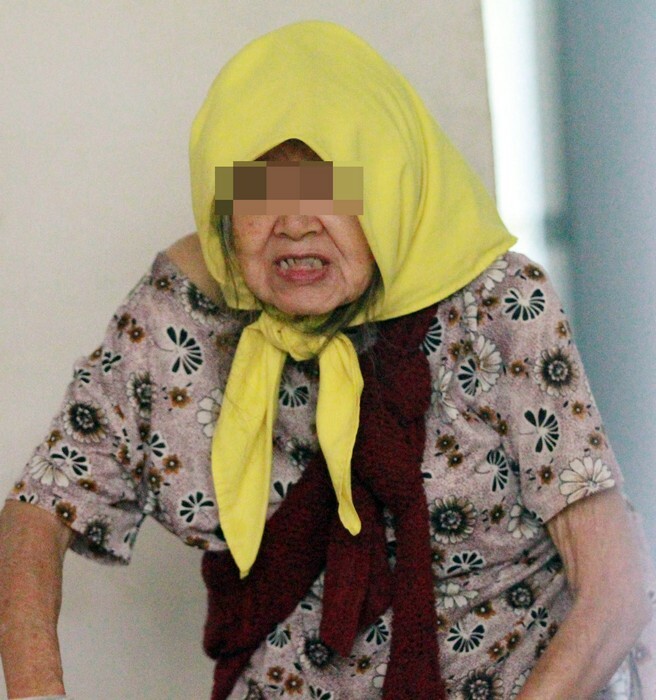 On Wednesday, Shin Min Daily News reported that 10 HDB officers, accompanied by police officers, went to Madam Foong's unit at 7.30am that morning. 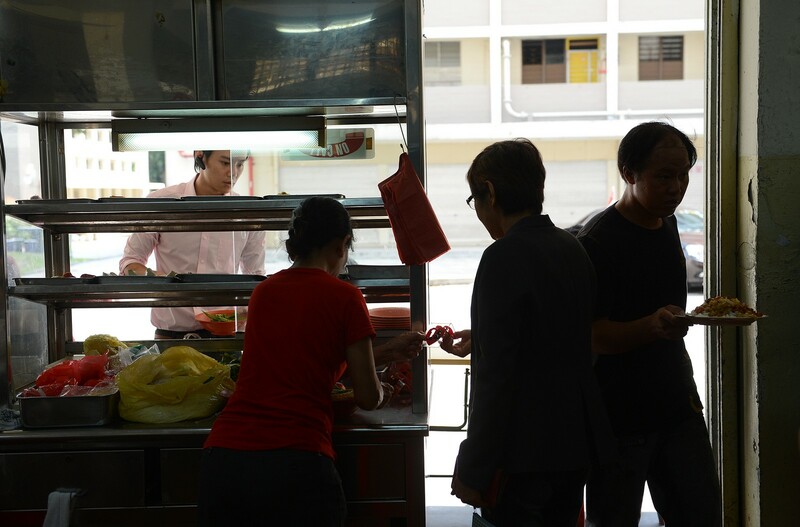 TNP understands that the visit was yet another attempt to convince Madam Foong to leave, but she refused. 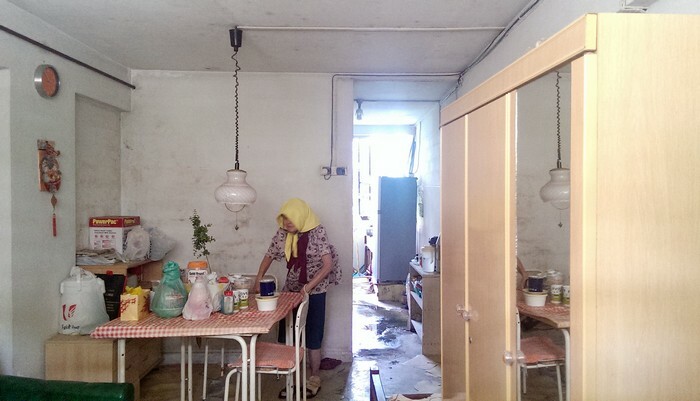 A HDB spokesman said in an e-mail reply that Madam Foong had vacated the flat that afternoon. 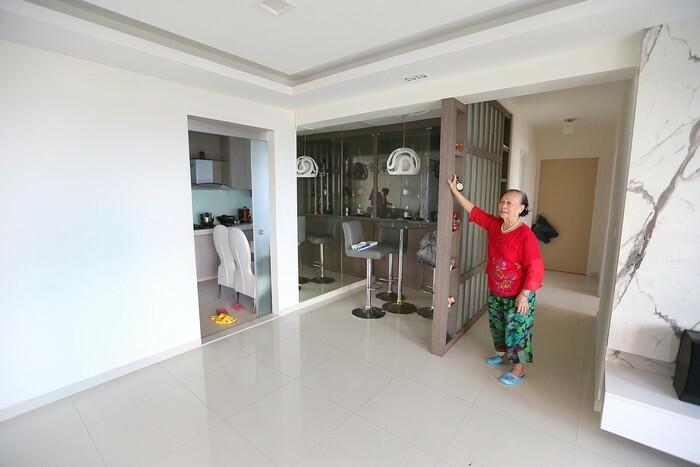 A former resident of Block 79 is baffled why Madam Foong Chea Tai would want to remain there when the new 40-storey blocks are nicer and newer. 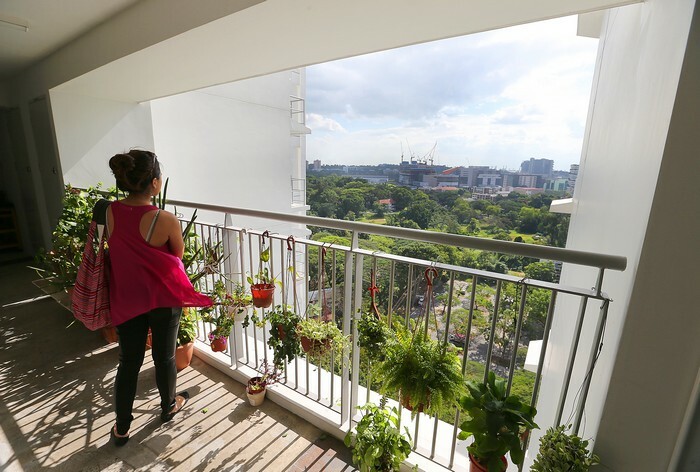 Several other former residents of Blocks 74 to 80 at Commonwealth Drive approached by The New Paper also preferred their new homes, citing the views and spaciousness. Another resident said: "The layout here is more suitable for my family. We enjoy the peace and quiet of this new estate, especially at night."